I can’t pass up a pile of linens, no matter what they are. 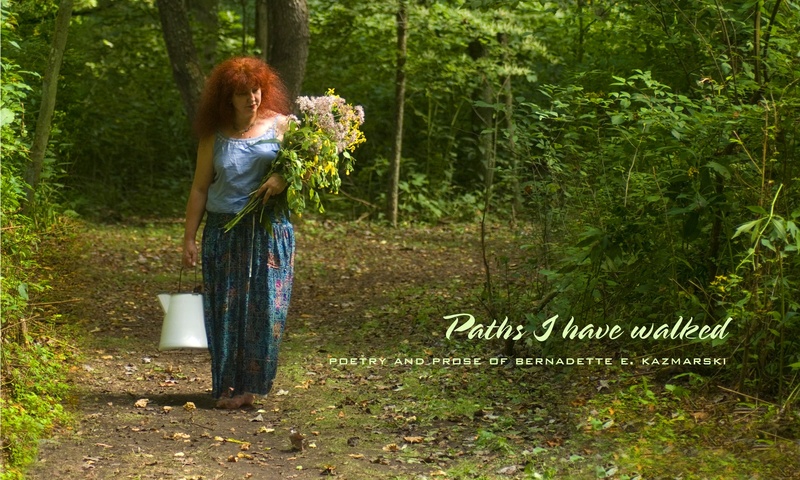 Six years ago I flipped through the pile of handkerchiefs, all different, handmade, store-bought, flowered, embroidered, lace trims, a typical pile of hankies from years past. I found this one in the pile and recognized the letter “H”, my mother’s first initial. My mother could be difficult to fit with gifts and was often awkward at accepting, but whenever I found a small thing with her initial, mugs, small handbags, shirts, tablets, whatever, I just bought it and gave it to her. She was always pleased with these things and kept them, and it was a quietly happy part of our relationship. They are all long gone now from regular use and from selling her house and its contents. She had died just the month before at the age of 86, but I still had the urge to buy this handkerchief. I initially decided not to—what would I do with it? I have no one to give it to. I am a habitual collector of small things that I then never give up but years ago I sorted it all out and donated it and can now enjoy looking at something I would formerly have purchased, then let it go, finding I don’t really need it after all. 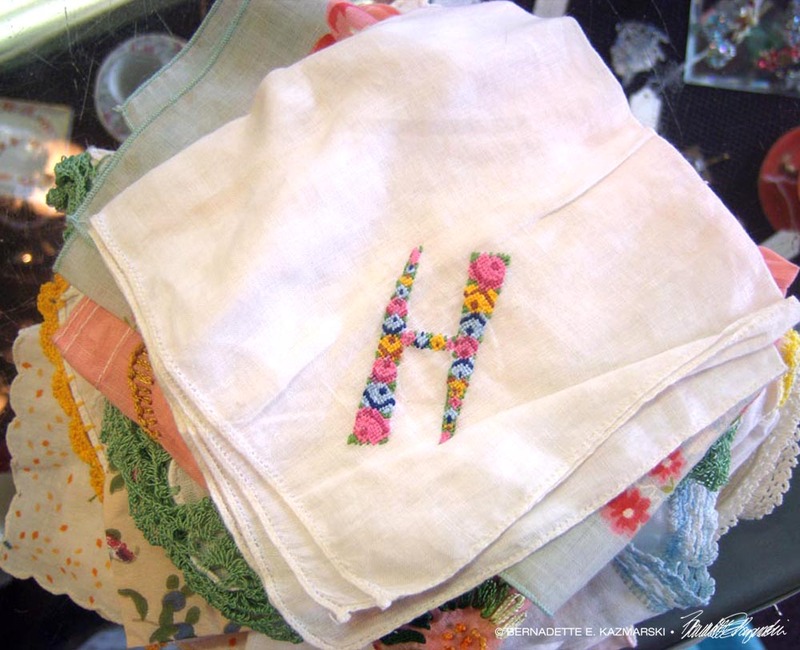 But I thought about this little handkerchief, such a nicely done pattern of flowers in some of my mother’s favorite colors, and an unusually-shaped letter. I decided that I would buy this handkerchief for myself. Perhaps if I collect a number of things, someday I’ll find another daughter who can use a collection of things with her mother’s initial. For now, I have space for this. When I look at it, I think of my mother. That’s enough purpose for me.